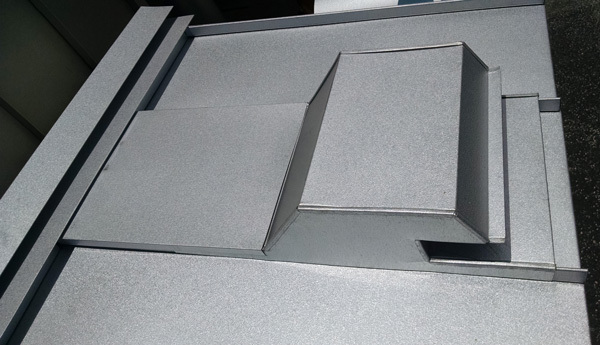 Introducing the DCSM raised roof vent for standing seam roofing systems. We have designed this new vent specifically to divert the water away from the vent on the back side. Unlike tradition range vents with a vertical back side, the DCSM vent has an angled back side moving water away from the vent. In addition, the single piece counterflashing tucks under the ridge vent. 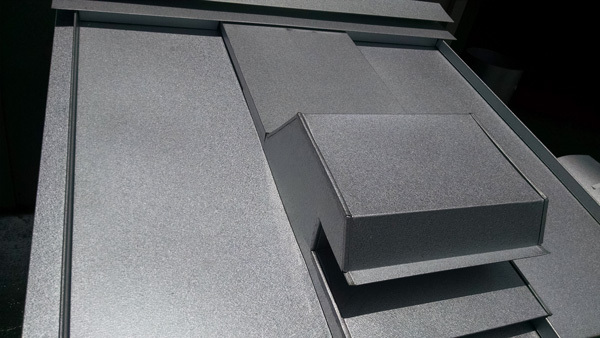 The width of the vent matches the 16″ wide of the standing seam panel. Note how the vent is up off of the flat surface of the roof panel. It sits on top of the seams further enhancing the waterproof design. Another innovation by DCSM. Feel free to contact us for more details or literature. Materials 24 or 26 gauge Galvalume*. Also available in aluminum, 16 oz copper, metallic finish or acrylic coated Galvalume. Warranty 25, 30, and 35 year manufacturer warranties available. Coatings and Finishes Full strength Kynar 500 finish. Colors Available in multiple colors. Made from Galvalume not galvanized. Galvalume offers far superior corrosion resistance.